Huzzah, a TF! I missed doing these. I penciled and inked this one in February, and kinda just wanted something to finish up today, and pulled this off my hard drive. 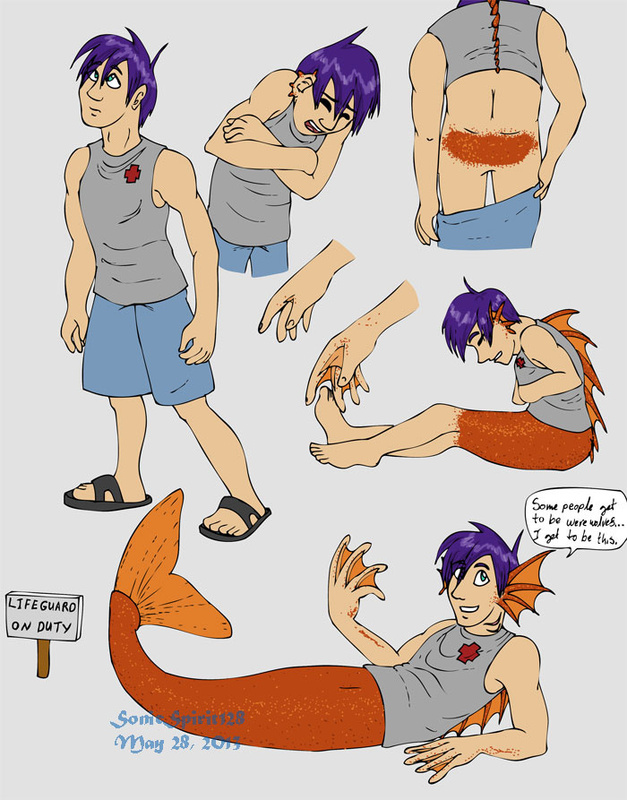 His fishy parts are loosely based on red snapper, cuz snapper is awesome. And a "Veerry tasty fish," (very much so!). And I really wanted an ocean fish. Heh, most of the kinds I know are for eating. Maybe he should've been a marlin, or something, since that would probably make more sense--a particularly fast fish, and stuff...but nope, red snapper! I don't know why the purple hair. I just like purple hair. Same reason his eyes are teal. Cuz it's a cool color. I'm sure he'll work it out! I kinda figured he was at a beach of some sort! Not to worry, help is just a few barrel rolls away!